Click here to find out more about us as a company. Click here to browse our stock of decor and items for hire. Click here to browse the images in our gallery. Click here to get our contact details and get hold of us. 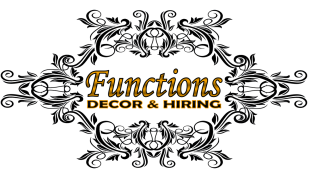 At Functions Décor hiring we pride ourselves in offering a one stop approach to create your event. We have a wide selection of décor and furniture for any occasion.